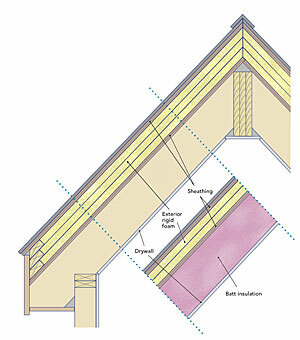 If you plan to insulate a sloped roof, you need to decide if you want a vented or an unvented assembly. 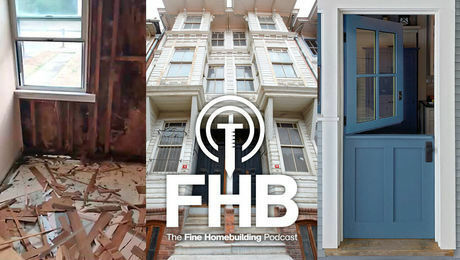 An unvented assembly can perform well, but it’s important to get the details right to avoid sheathing rot. 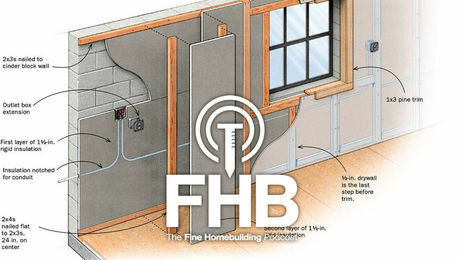 Air-permeable insulation such as fiberglass batts, dense-packed cellulose, or blown-in fiberglass can’t be used alone for an unvented assembly, since these types of insulation can allow moist indoor air to reach the cold roof sheathing, leading to condensation or moisture accumulation in the sheathing. Unvented roof assemblies should be insulated either with air-impermeable insulation (rigid foam or spray polyurethane foam) or with a combination of foam and air-permeable insulation. 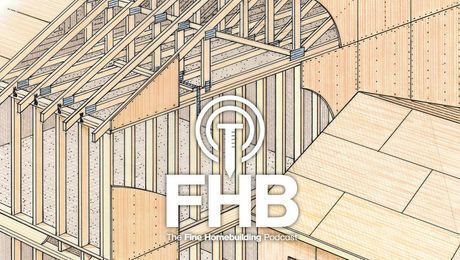 If you don’t want to use SIPs or nailbase, there are four basic approaches. 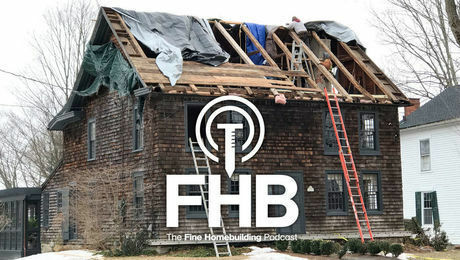 You can install all of the insulation above the roof sheathing, but the foam has to be thick enough to meet minimum code requirements for ceiling R-value. The rigid foam will be fairly thick (see sidebar “How much insulation?”). 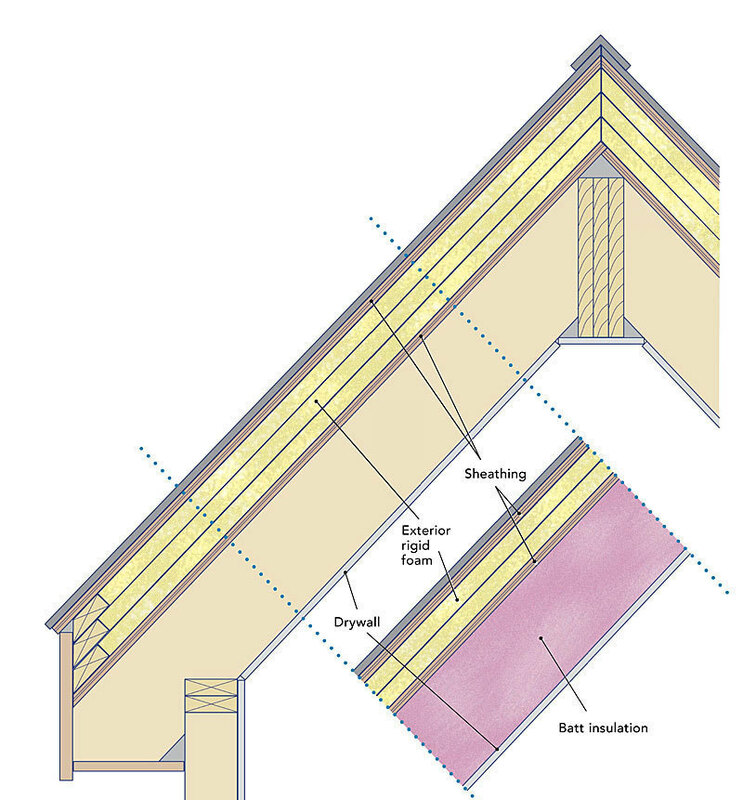 Rigid foam also can be installed above the roof sheathing in tandem with air-permeable insulation between the rafters. 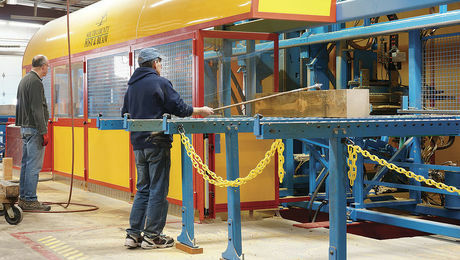 In this case, the rigid foam can be thinner than when it’s used alone. Code specifies the minimum R-value of the rigid-foam layer. Since it’s air impermeable, spray polyurethane foam can be installed alone on the underside of roof sheathing. The foam must be thick enough to meet minimum code requirements. The main drawback is high cost. 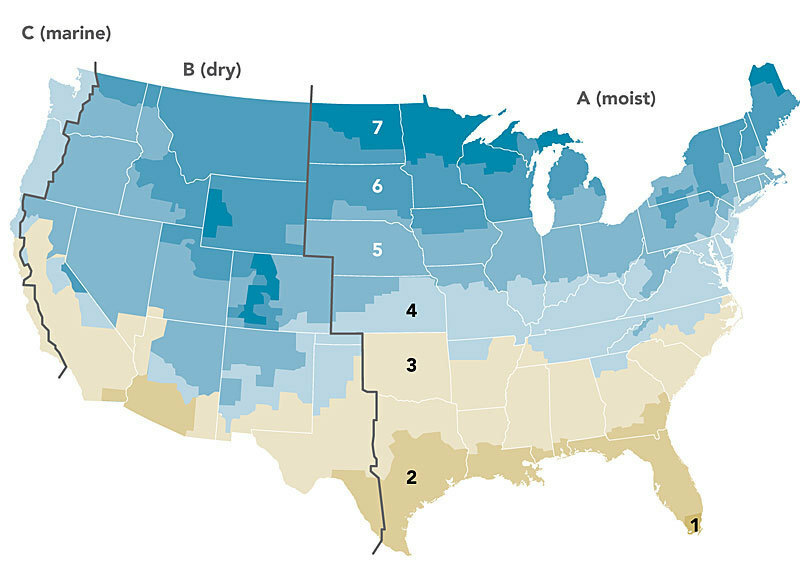 Other concerns: Closed-cell spray foam uses blowing agents with a high global-warming potential, and open-cell spray foam needs a carefully detailed vapor barrier to prevent moisture accumulation in the sheathing. A layer of spray polyurethane foam can be installed against the underside of the roof sheathing, with the rest of the rafter cavity filled with air-permeable insulation. You must meet the same minimum code requirements for the spray-foam layer and the total assembly as for the rigid-foam-plus-air-permeable insulation approach. Most building codes include a table showing minimum R-value requirements by climate zone. 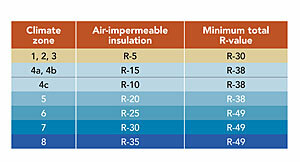 Insulation, whether a single type or combination, must at least meet these requirements. 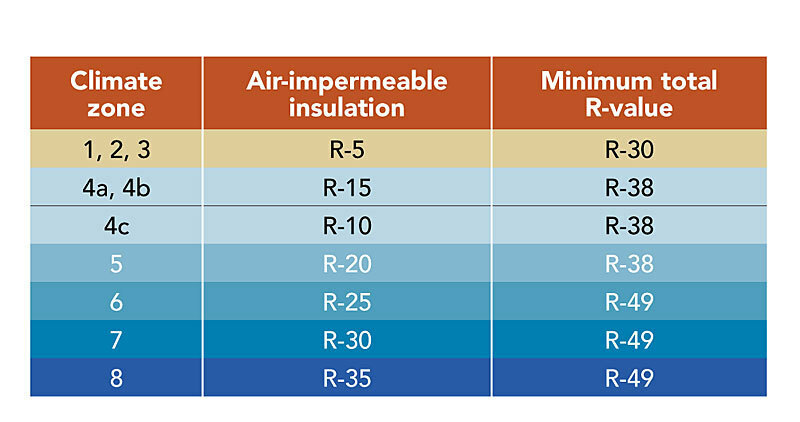 When combining foam and air-permeable insulations, code requires the foam layer to meet specific minimum R-value requirements, which vary by zone. This chart is based on table R806.5 of the 2012 IRC.